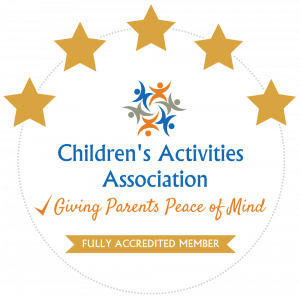 Award winning art and play classes for babies, toddlers and children! We were SO excited last month when ARTventurers classes for babies and toddlers again were named as a winner in the Whats On 4 Kids awards! 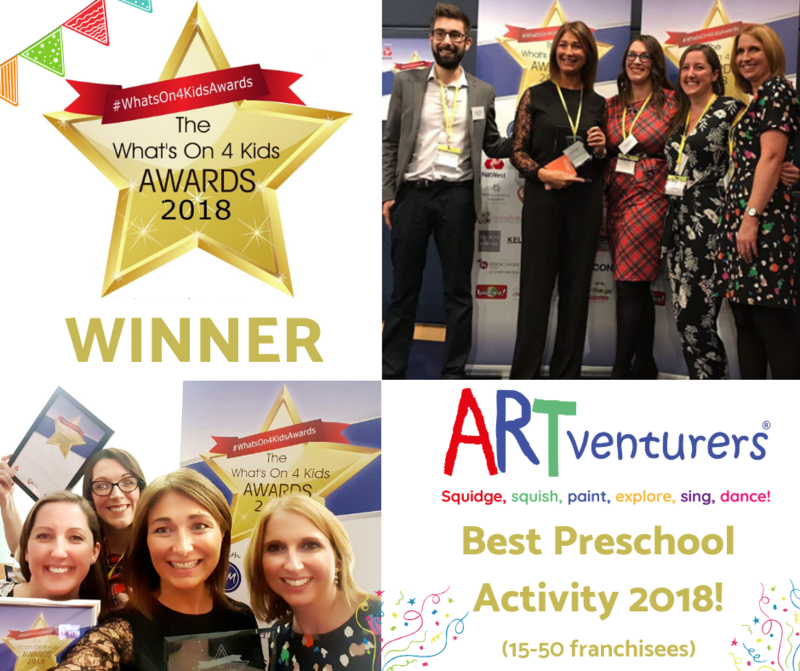 The What’s On awards are the industry awards for childrens activity providers across the UK and are voted for by the parents who come along to the classes – so huge THANK YOU to everyone who voted for ARTventurers to win Best Preschool Activity 2018! Last year we won two awards (Best Baby/Toddler Activity and Best Preschool Activity for under 25 franchisees) which was AMAZING news! This year we were in a much bigger category with some big brands so to be named Best Preschool Activity 2018 was an brilliant achievement – the smiles on our faces show just how over the moon we really were! Awards like this really are testament to the hard work, passion and enthusiasm of all of our ARTventurers team who bring our colourful, creative art classes for babies and children to life. If you’d like to join in the award winning fun at our sessions across the UK then visit our Find A Class page to find out where your nearest ARTventurers branch is. And if there’s not one near you? Why not find out more about joining our award winning franchise team and launch your own ARTventurers business in your own local area?! Juggling work and parenthood – Serena Williams style! 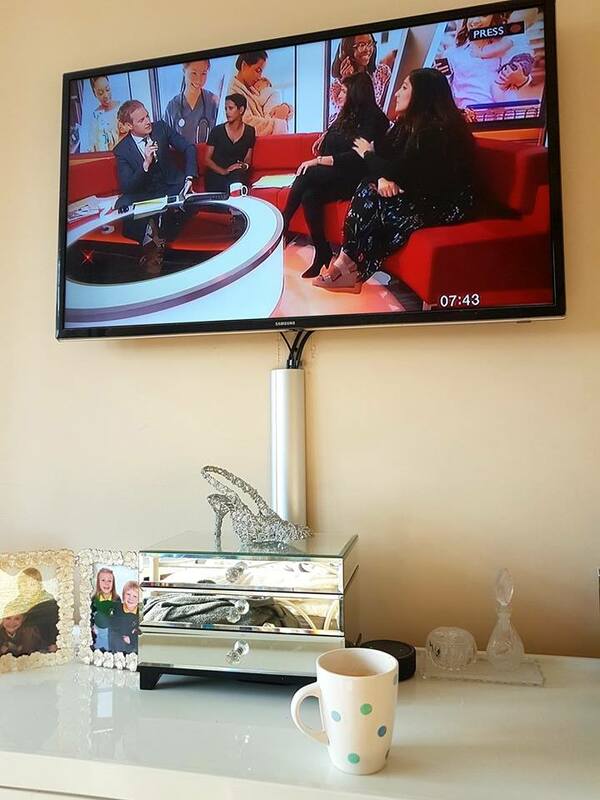 This morning I was watching BBC Breakfast news with my coffee whilst getting ready for work….they’ve been discussing the challenges facing working mums and Serena William’s post earlier this week about her recent struggles trying to balance life as a new mum with her career. Seeing anyone high profile speaking out about trying – and failing – to have it all and get the balance right hopefully reassures us all that we’re not alone. Whatever career or role we might have pre children, throw a baby into the mix and we need to find our own way of navigating the path ahead – there’s no right or wrong way. I struggled hugely going back to my career as a solicitor after having my first baby – in fact ultimately I left the legal profession and began looking for alternatives where I could work more flexibly around my little ones……and of course that’s how ARTventurers was born! 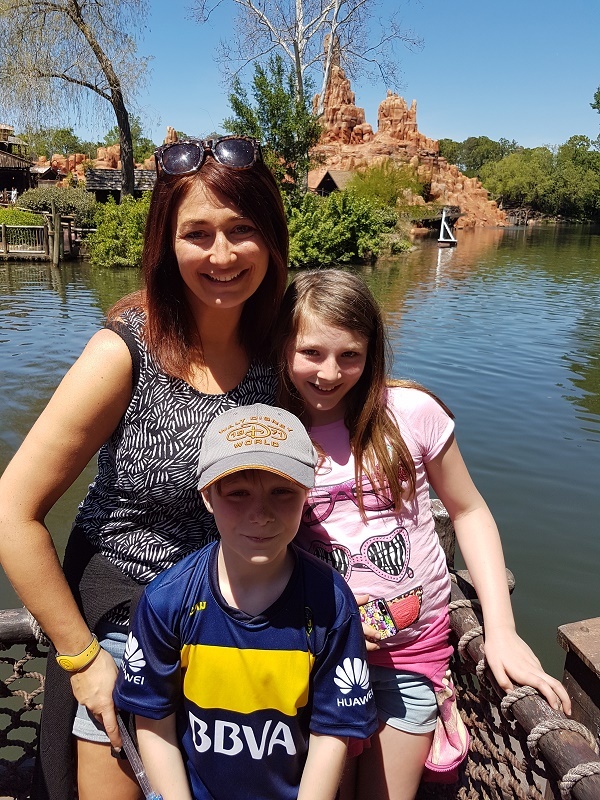 Most of our ARTventurers franchisees have similar stories – setting up their ARTventurers businesses so that they can do the school and nursery runs and try and achieve a better balance between work life and life as a mum. Have I got the balance right? No. I don’t honestly think that any of us could say hand on heart that we have. Some days it works better than others. My goal was to be able to spend as much time as I could with my little ones before they started school, to take them to school every day and pick them up at the end of the day, to be there for all major events and to be able to work around them during the school holidays. I’ve achieved all of that but it’s meant that I’ve had to make other difficult choices like working weekends, taking my work on holiday with us and often working late at night. As a parent we’re all professional jugglers – sometimes we’re better at keeping the balls in the air for longer and looking like it’s all under control and sometimes the balls just keep dropping and we need to stop and pick them up again. Changing my career path to become an ARTventurer was absolutely the right decision for me but it’s still a challenge running even the most flexible of businesses around family life. Whatever path you’re taking – resuming a career, taking a career break, setting up a business, becoming a SAHM…… – I think that the key to achieving the best balance that you can for YOU and your family is threefold. Firstly, having a supportive tribe around you. Friends, family, colleagues – people who are there to support, listen and can step in when you’re starting to drop a few of those balls (and we’re very lucky at Team ARTventurers to have a FAB tribe    – having people there who are in exactly the same boat when you’re balancing business and parenthood as you is invaluable). Secondly, stop comparing. Not only is everyone different and what works for one mum won’t necessarily work for another – but also remember that behind all of the Facebook smiles and Instagram perfect photos, we’re all juggling and struggling just like Serena. And thirdly and most importantly – it’s ok not to be ok. We put too much pressure on ourselves – we’re not going to be winning each and every day. As long as we’re managing to win some of the time that’s just fine.